June 21, 2018 — The bo ard of directors of Israel Aerospace Industries (IAI), chaired by Harel Locker, has named Brigadier General (Res.) 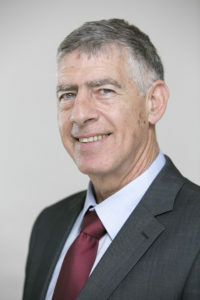 Nimrod Sheffer, currently IAI’s Vice President of Strategy and R&D, as IAI’s new CEO. Sheffer will replace Mr. Joseph Weiss, who is stepping down after reaching the statutory retirement age. The nomination is now pending the approval of the State Companies Authority and the Defense and Finance ministers. This is the first time that IAI is naming a CEO who is not an IAI alumnus. Sheffer joined IAI recently from the highest ranks of military command and management. He retired from Israel Defense Forces (IDF) two years ago after a long career. In his most recent role, he headed the planning division of the IDF’s general staff. In that role, Sheffer was responsible for drafting and executing the IDF’s work plan, including the shaping of long term strategic processes and managing the army’s resources. Among others, Sheffer has led the talks with Israeli government on the defense budget, IDF’s streamlining processes, renewal and technological development project and the external relations of the military. In his previous roles, Sheffer served as deputy commander of Israel’s air force and headed an aerial division. Combat pilot by training, Sheffer holds first degree in geophysics from Tel Aviv University and master’s degree in Public Administration and Policy from Harvard University.